As Benjamin discovers, it is not easy to be the great-grandson of the last living apostle. Every mistake is noticed. When he is offered the opportunity to accompany his great-grandfather around the fellowships of the region in Asia Minor, he is overjoyed. Everything doesn't go to plan, and his faith is tested with the dangers and difficulties along the way. And another real danger waits for him when he returns home. 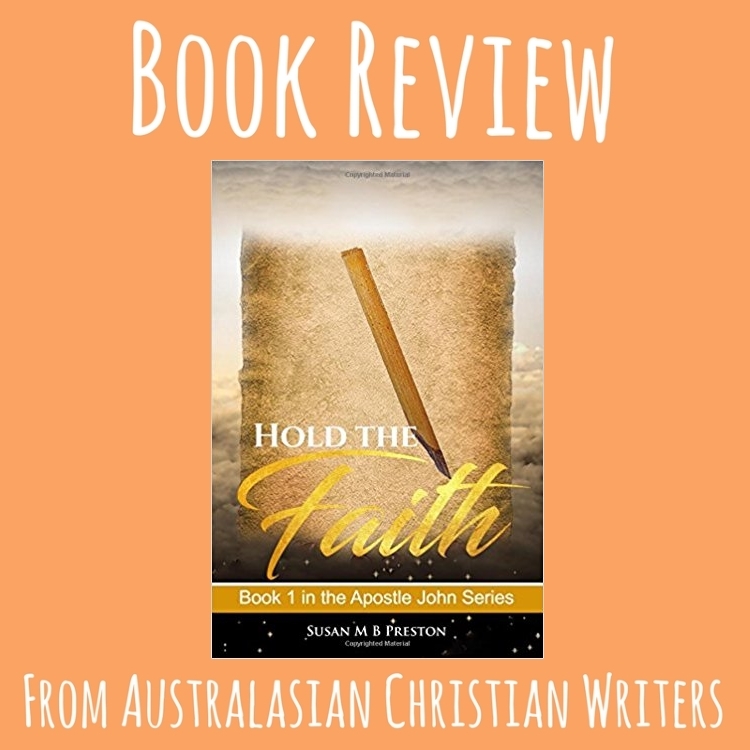 Hold the Faith is the first book in Susan Preston's Apostle John 5 book series. Susan Preston is a Scot transplanted to Western Australia, and now a widow. This and the loss of a stepson has given depth to her writing that it wouldn’t have otherwise. Susan M B Preston has won Finalist Awards from Readers’ Favorite and from the Independent Author Network. Now a widow, her main interest is her writing, Skyping with friends and family, and running the occasional beginner’s computer course. 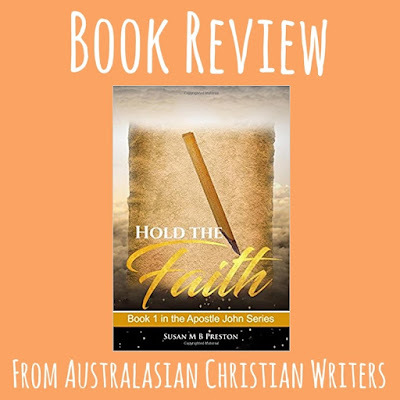 Although she has written other types of books in the past, The Apostle John series of books is Preston’s first foray into the world of Christian, historical fiction. With a few projects to finish off, Susan has her eye on another series, this time set farther back in time. Before that – expect a few novellas about some of the people in the series. Hold the Faith is biblical fiction in a fascinating period, the time when the last living witnesses of Jesus' life, death and resurrection are very old or dead (often martyred), with a new generation without such first hand experiences working out their faith in a difficult environment. It is also a time of increasing persecution from all sides (Jews, Pagans, the Romans) and the emergence of false sects that seek to disrupt the Brethren. 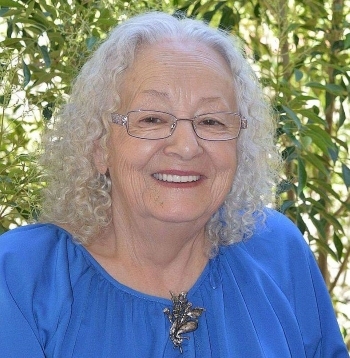 Susan Preston introduces fictional characters, like young Benjamin, the fictional great-grandson of the Apostle John, as well as his Benjamin's family and others in the fellowship at Ephesus and in surrounding areas. She also references biblical and historical figures such as the Apostle John, Polycarp, and the heretic Cerinthus as well as drawing on John's writings such as the gospel, his letters and Revelation and on early church history. Her presentation of John is delightful and believable and she does a excellent job of conveying the daily life and first century concerns of the people. As always, there is a degree of interpretation (eg did the early Christians keep the Jewish Sabbath or worship on Sunday, the day of the Lord's resurrection or what was the meaning of 'obtaining from the blood' in the Jerusalem Council in Acts). However, I think Preston does a good job of blending known facts, interpretation and relevance to modern concerns (the nature of faith, the need for young people to make faith their own, how to respond to hostility of non-Christians etc). I will confess though that I struggled with the use of multiple points of view within scenes, which I found particularly jarring at the start, though the majority of the story is about Benjamin as he seeks to prove and grow his faith. Some parts were a little repetitive as characters discuss events and give opinions in different settings, and, until the end, conflicts were often quickly resolved. Hold the Faith gives a good portrayal of what life might have been like for early (Jewish) Christians in Ephesus and the surrounding cities. It will be interesting to see how Susan Preston develops both the plot lines and the characters in the the rest of the series as Benjamin confronts the difficulties that face him and the Apostle John defies the might of Rome in his faithful and unswerving witness to Christ. Jeanette started spinning tales in the world of Nardva at the age of eight or nine. She enjoys writing secondary world fiction, poetry, blogging and editing. Her Nardvan stories span continents, time and cultures. They involve a mixture of courtly intrigue, adventure, romance and/or shapeshifters and magic users. 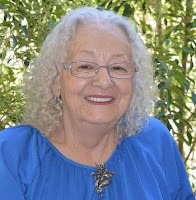 She has published numerous short stories, poems, two novellas and her debut novel, Akrad's Children and new release Ruhanna's Flight and other stories. 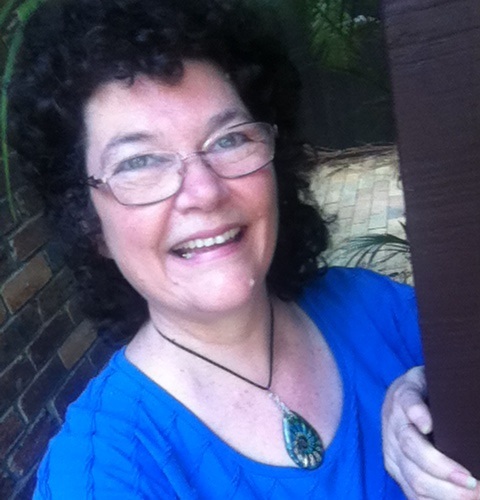 Jeanette has practised medicine, studied communication, history, theology and a Master of Arts (Writing). She loves reading, painting, travel, catching up for coffee with friends, pondering the meaning of life. She lives in Brisbane with her husband and children. Find her on Facebook or Jeanette O'Hagan Writes or Twitter.